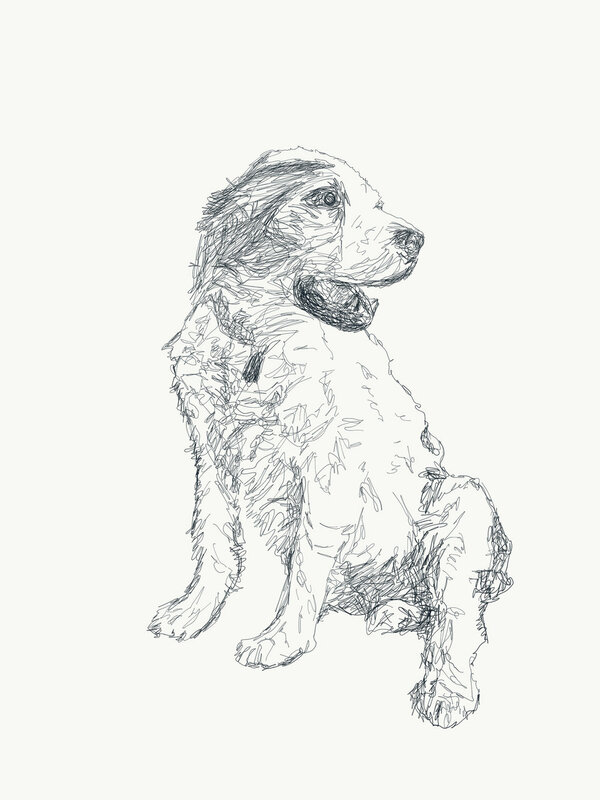 A stalwart member of the family since 2004, Milo is by no means a typical Brittany Spaniel. His head is too big, but so is his heart. He gives everything and expects almost nothing—probably more than almost nothing—in return. Always greeting us with a wagging tail, he is happiest when we are at his side. Digital illustration made in Wilmette, 2016.